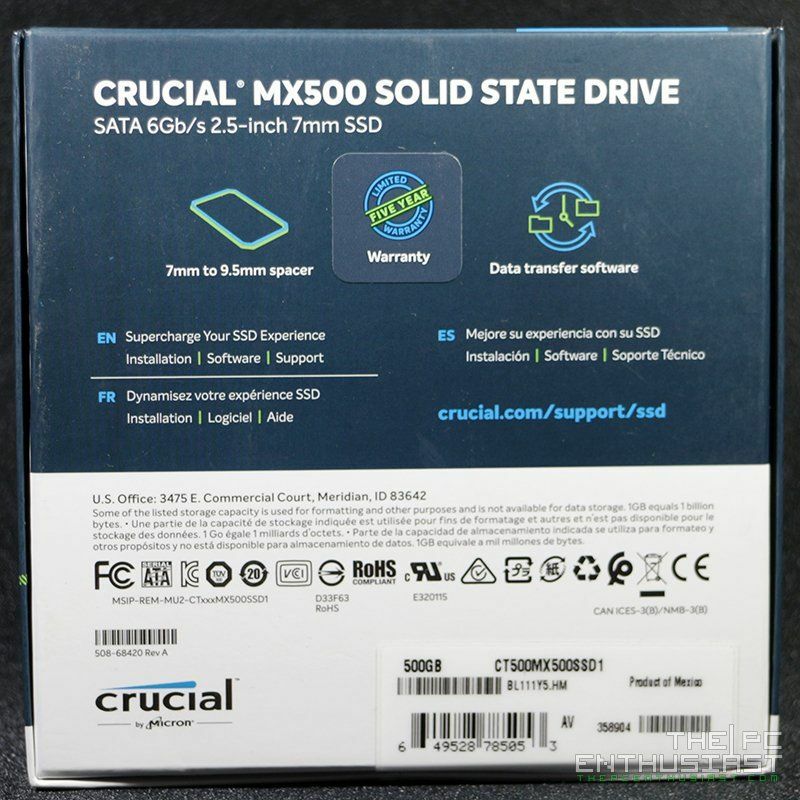 The Crucial MX500 SSD series is the company’s latest version of their main SSD lineup announced late last year, and finally released early this year. 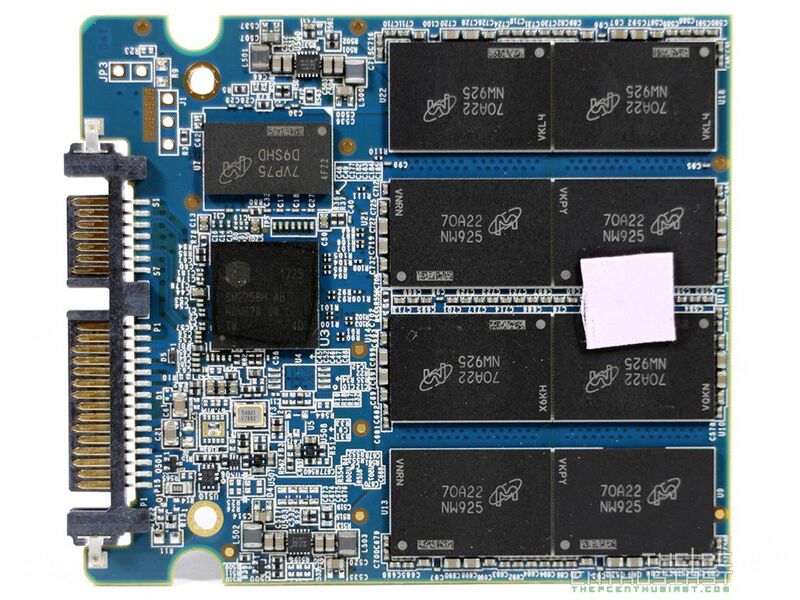 The new MX500 features Micron’s 2nd generation 64-layer 3D TLC NAND, capable of sequential read/write speeds of up to 560MB/s and 510MB/s respectively; or random read/write speeds of up to 95,000 IOPS and 90,000 IOPS respectively. It is available in capacities up to 2TB and in 2.5-inch SATA and M.2 Type 2280 form factors (for 250GB, 500GB and 1TB capacities). 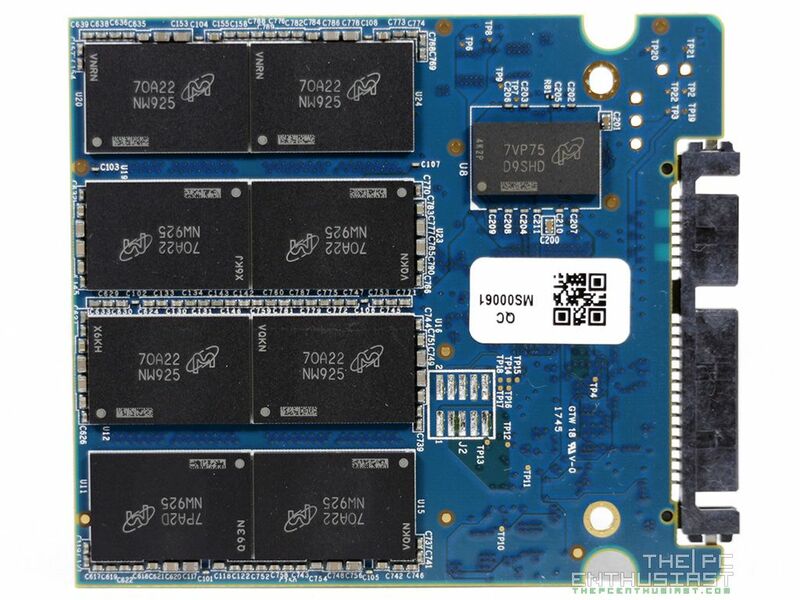 Today we’re going to check out and review the Crucial MX500 1TB and 500GB SSD capacities. We have seen the performance of their budget-friendly BX300 SSD series, and we got better and faster read/write speeds with it versus their previous MX300 series. Let’s see if the new MX500 SSD is faster and better compared to its predecessors and competition. 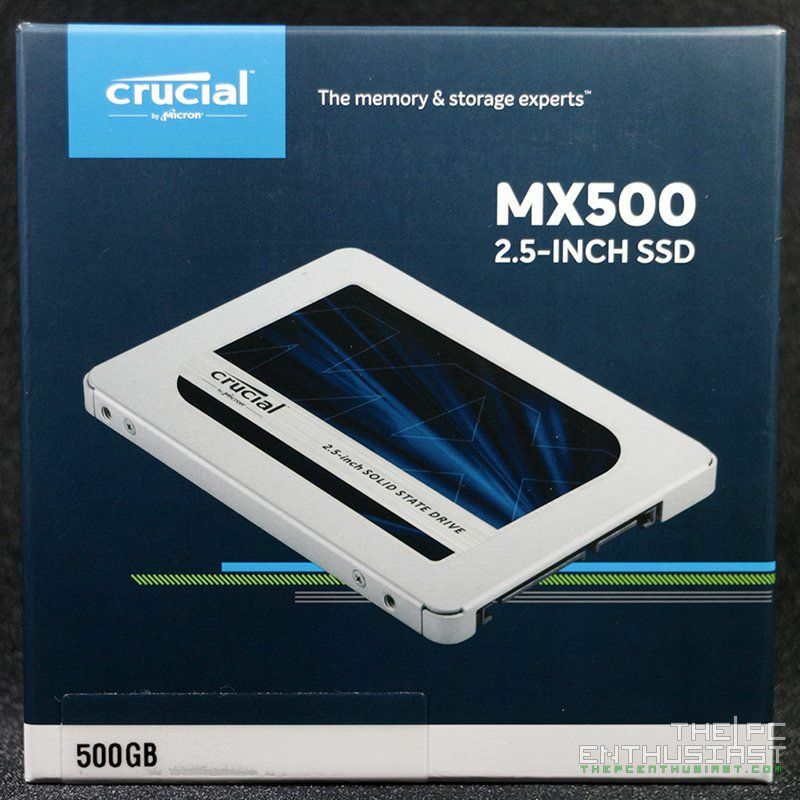 Continue reading our Crucial MX500 SSD review below and find out more. 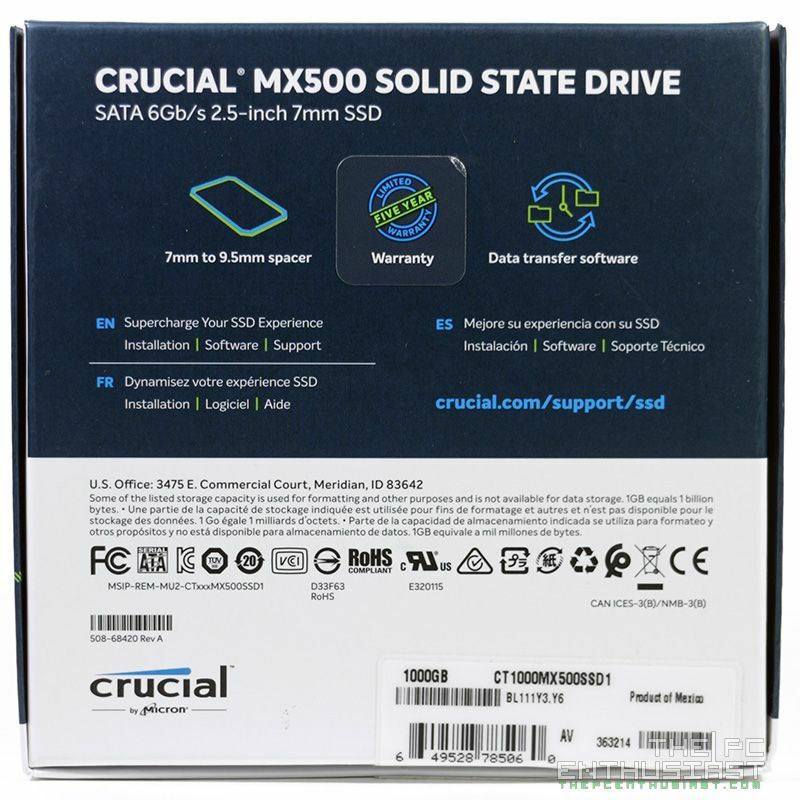 The Crucial MX500 SSD series is the company’s latest flagship or high performance solid state drive storage solution. Compared to their budget-friendly BX SSD series, the MX series offers faster read/write speeds, better reliability, security and protection. Although this time around, the performance difference between the new MX500 and BX300 is not really significant. In fact their performance is really close to each other, being powered by the same controller. You’ll see later on our benchmark results. The new MX500 SSD series offers great price to performance ratio and 45 times more energy efficient than a typical hard drive. It features Dynamic Write Acceleration optimizing its write performance; Integrated Power Loss Immunity; Exclusive Data Defense that protects against data corruption; Adaptive Thermal Protection; and an AES 256-bit hardware-based encryption to keep the data safe and secure. These protection and security features are not present on the BX300 series; making the MX500 on top of their product lineup. 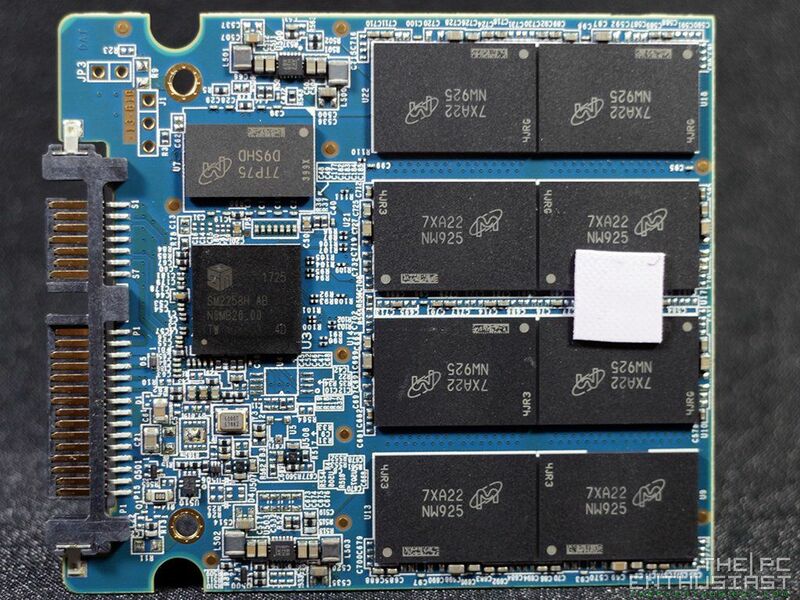 I guess the main highlight or change on the new MX500 SSD series is the 2nd generation Micron 3D NAND technology and the use of Silicon Motion SM2258 controller. 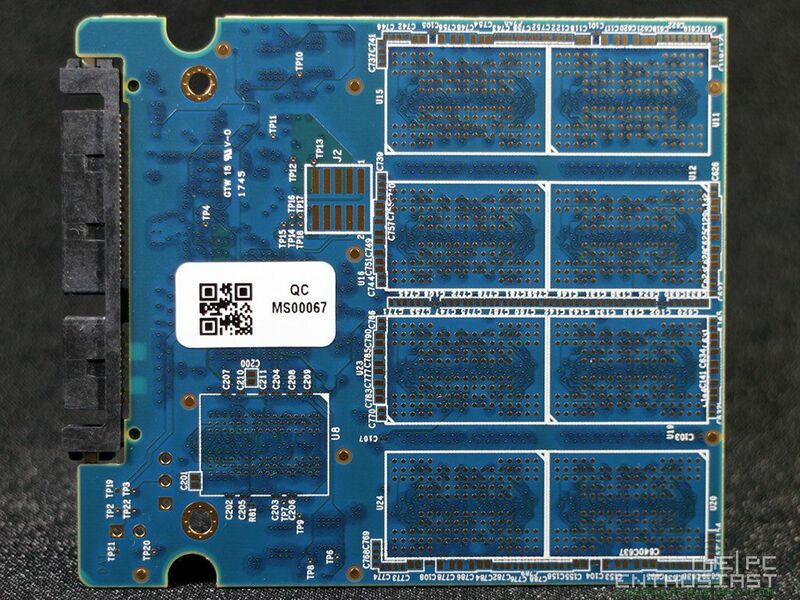 This 2nd gen 3D NAND features 64 layers with 256-gigabit component. Micron’s floating gate NAND is designed with CMOS Under the Array (CUA), which allows to minimize the footprint of the die. It measures 59 square millimeters, making it one of the world’s smallest 256-gigabit die. It’s also noteworthy to mention that the performance on the MX500 SSD series are similar regardless of their capacity. From the 250GB to 2TB capacities, all MX500 drives offers performance of up to (or around) 560 MB/s sequential read and 510 MB/s sequential write speeds; or 95,000 IOPS random read and 90,000 IOPS random write. Other SSDs, specially the older generations, doesn’t have this kind feature. 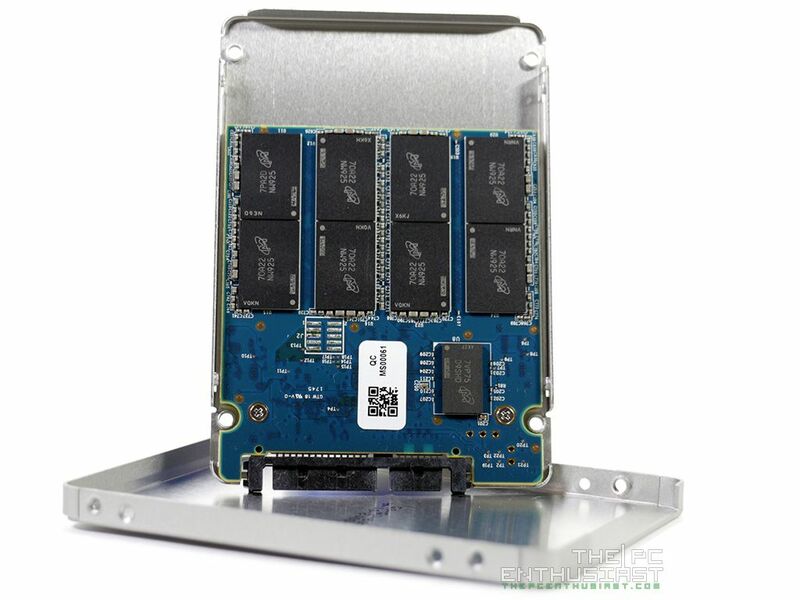 Usually, lower capacities tend to perform slower compared to the higher SSD capacities. 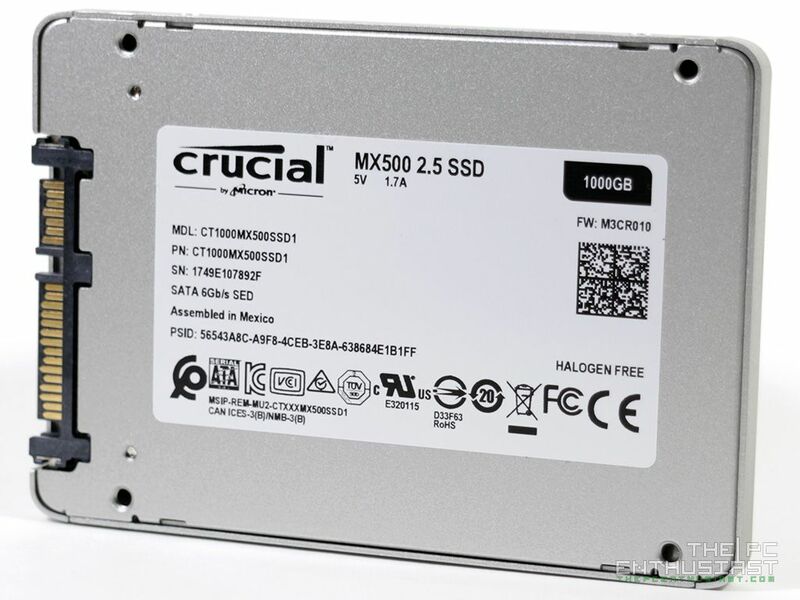 The Crucial MX500 series are available in 250GB, 500GB, 1TB and 2TB capacities; and all capacities have a mean time to failure rate of 1.8 million operating hours. However, they have varying drive lifetime or Total Bytes Written. The 250GB has a TBW of 100TB, 500GB has 180TB, 1TB has 360TB and the 2TB has a 700TB of TBW. You can check out more details from the specifications table below. 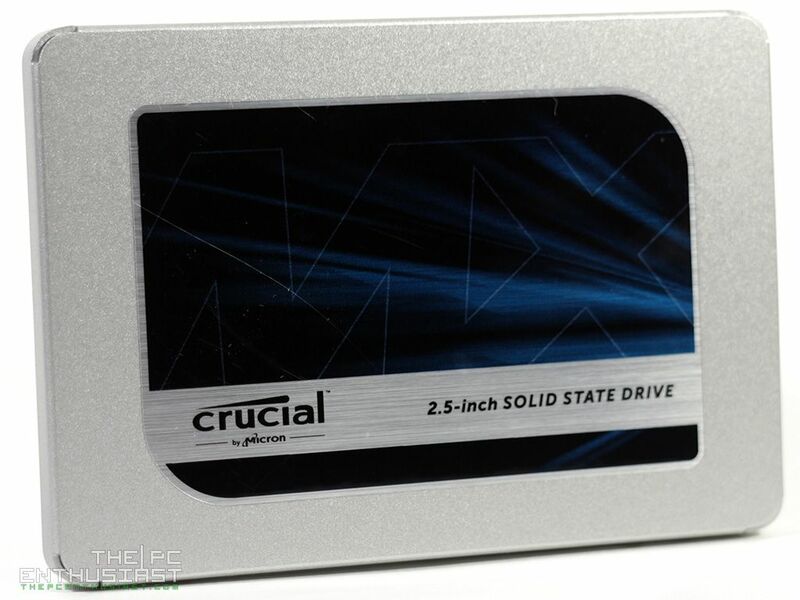 Crucial’s packaging for their SSD lineup hasn’t changed that much. Their SSD’s are enclosed on a small square box; with proper labeling and box art design to distinguish one lineup or series from another. However, they only use a (small) sticker to indicate the capacity of the drive; usually located at the bottom left portion. The MX500 SSDs have grey/silver aluminum casing, just like all their SSDs. Like with their previous generation, you can only see the label “MX” or “BX” on the sticker; but no clear indication whether which MX or BX generation is it. You’ll have to check the sticker label at the back side of the SSD for additional information; like its model, capacity, serial number and etc. The Crucial MX500’s PCB is slightly longer compared to the BX300’s we reviewed before. It’s longer by another row of NAND chips; this is because the MX500 offers larger capacities while the BX300 is only up to 480GB. 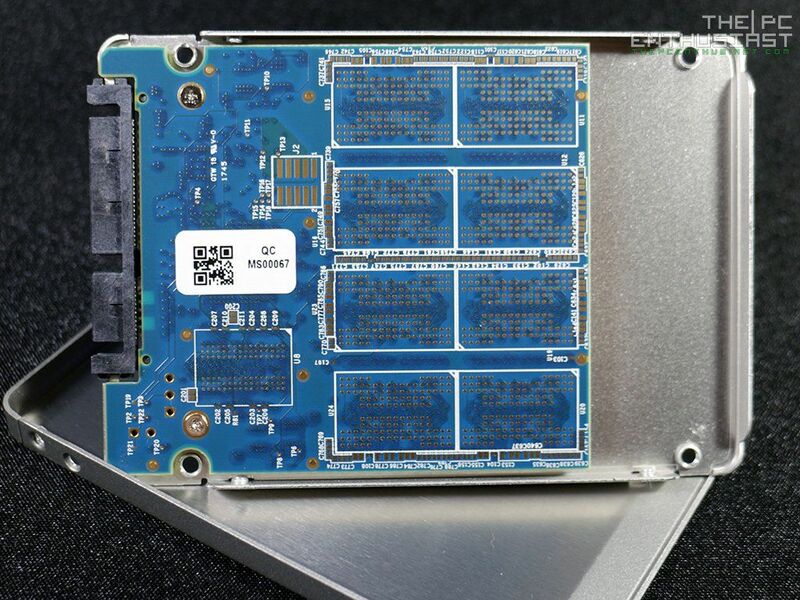 The first row of photos above is the PCB of the MX500 1TB capacity; all NAND slots are populated for a total of 1TB capacity. The second row of photos above is the PCB of the MX500 500GB capacity. The back side of the PCB is not populated with any NAND chips. You can also see on the front center (near the SATA ports) is the Silicon Motion SM2258 chip controller, same controller used on the BX300 series. Above (or near) the controller is a Micron D9SHG DDR3L SDRAM memory cache, with 4Gb density, 256Mb depth and a clock rate of 933 MHz. Thermal pads are placed on the controller and on the middle portion of the NAND chips to help transfer heat from these components to the aluminum casing. 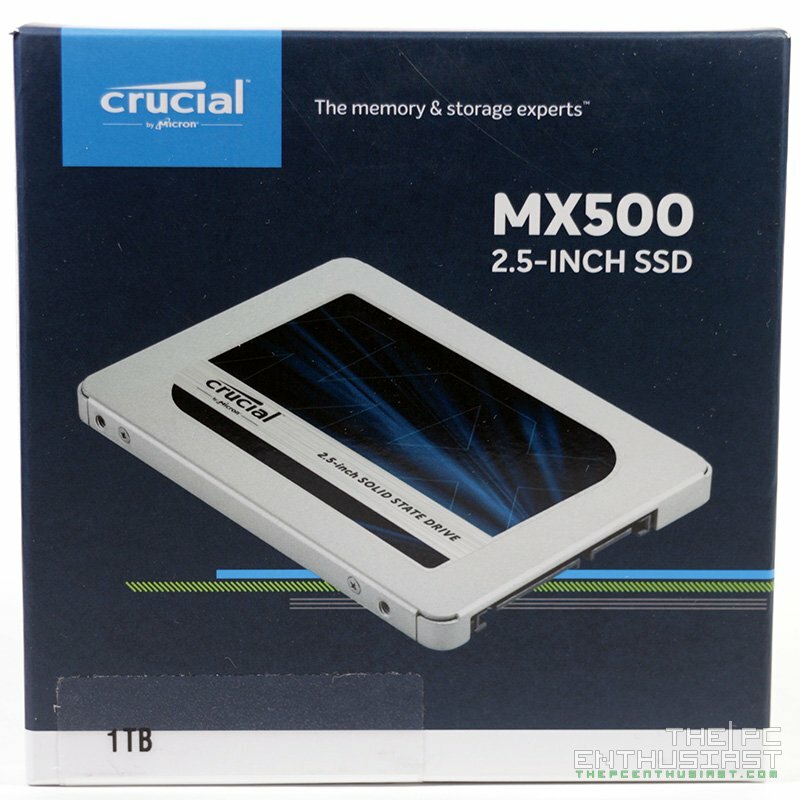 Now let’s proceed and see how fast this new MX500 SSD series from Crucial is.